For months, the state Republican party has been roiled by an internal power struggle between party brass and the party chairman, Hasan Harnett. GOP leaders say Harnett was working around them and trying to hack into a GOP website. Harnett repeatedly denied the allegations, called it a set up, and questioned if he was being singled out for his race. 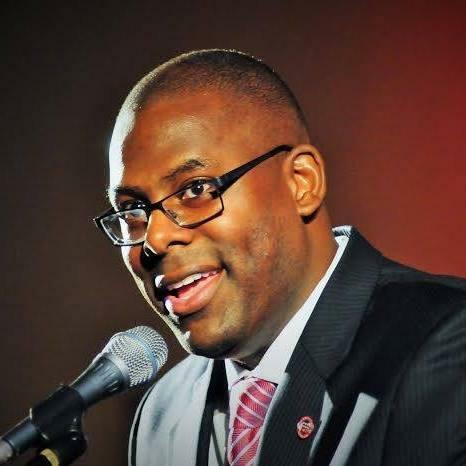 Harnett became the party’s first black chairman last year when he was elected with a wave of tea party support. "Even though some of the Republican Anonymous may disagree with the vision God has given your Republican Chairman,” Harnett wrote, “he remains steadfast in serving the full North Carolina Republican electorate and the greater Republican community despite no access to my NC GOP emails and resources." The infighting reached a climax over the weekend when the Republican executive committee met in a closed session Saturday and voted to expel Harnett, finding him guilty of violating organizational rules and committing acts of "gross inefficiency." Harnett was not present at the vote. He was out of the country on a planned business trip. To finish out Harnett’s term, the committee elected representative Robin Hayes of Concord. Hayes previously served as chairman from 2011 to 2013. The party holds its regular state convention this weekend in Greensboro.